American Cable Assemblies offers a huge selection of Cat 3 & Cat 5E Telco (Amp) Assemblies using made in USA cable and TE (AMP Champ) RJ21 Connectors. We offer in both plenum and riser rated 25 pair & 32 pair cable. We offer each assembly with either 90 degree or 180 degree hoods on both 50 Position or 64 position AMP Champ connectors. We also offer 25-Pair Trunk lines to industry standard modular RJ45 style plugs. Available in a Category 3 rating, these cables simplify the process of connecting individual lines from or to a 25-pair Telco connection. One end features a standard RJ21 Telco connection and the other has up to 25 RJ45 style connectors. We can customize based on your project needs so Please contact us us for a same day quote today! 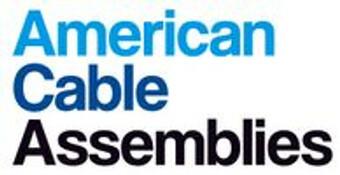 Welcome to American Cable Assemblies!